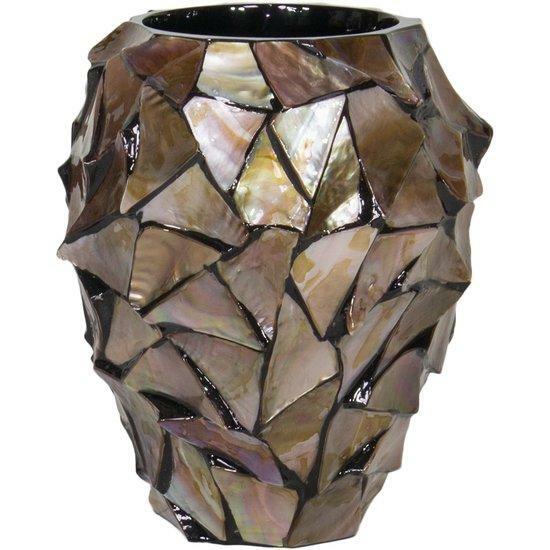 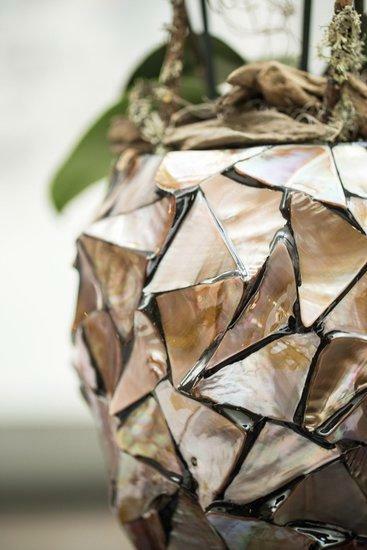 Orchid vase encrusted with real sea shells by hand. An exclusive and luxurious decorative highlight. 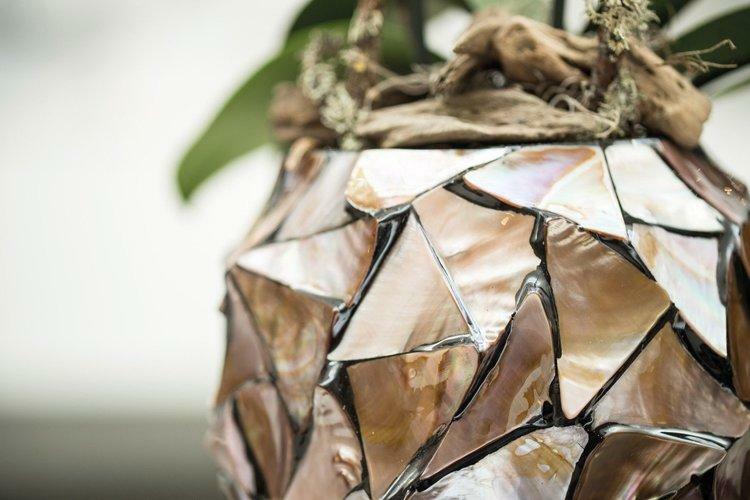 With a tremendous amount of precision triangular white, brown or black mother of pearl shell fragments are mounted on the taple top planters and orchid planters of the collection, before being grouted and passing through the final finishing process. 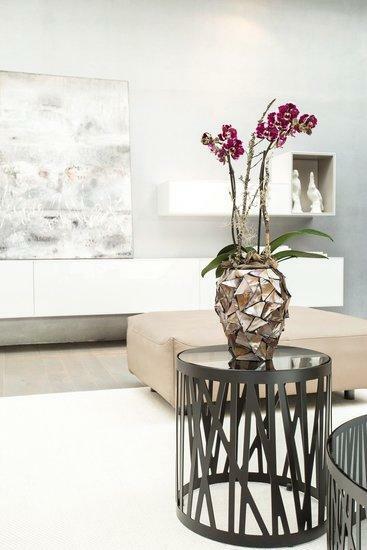 The orchid planter has a special intermediate base with water drain which ensures that the sensitive roots of the orchids do not hang in the water permanently. 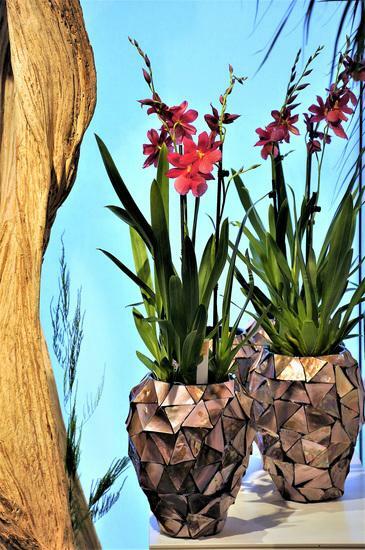 The orchid planters are suitable for common culture pots.